Pull out your best recipes, girls (and I know you have ’em). Link to the ME site and cook away! 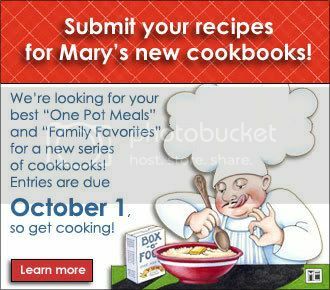 I’m sure it will be a great cookbook but it would be even better with a recipe in there from someone I know. very cool–i’ll have to check it out! i’ll also give my mom the heads up on too since she loves mary engelbreit and is a good cook!